Blog I’m Insured by ICBC, but what if I am Injured in an Accident Outside of British Columbia? I’m Insured by ICBC, but what if I am Injured in an Accident Outside of British Columbia? You need to determine where to bring the lawsuit. 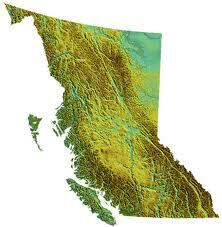 The limitation period may be shorter in another jurisdiction than it is in BC. You may be able to file an UMP claim for accidents outside of BC. In general, the lawsuit should be filed in the jurisdiction where the accident occurred. However, there are exceptions to this rule, for example, if both parties to the accident reside in BC and are insured in BC, it may be possible to file the claim within this province. Unfortunately, there is no clear rule as to what jurisdiction applies to any particular accident, and if you bring the lawsuit in the wrong jurisdiction, you risk losing the claim. Consulting a lawyer early on can help you avoid this pitfall. Different jurisdictions have different limitation periods. If the accident occurred in another jurisdiction with a one year limitation period, and you don’t commence your lawsuit within a year of the accident, you may be barred from filing a lawsuit at all. And you would not be able to bring a lawsuit in BC just because you missed the limitation period in the other jurisdiction. If you are injured by a driver in another jurisdiction who is either uninsured or underinsured, you may be able to rely on your UMP coverage. This is particularly important in the United States, since you could be on the hook for a substantial hospital bill. Your UMP coverage may cover this, but you need to follow the procedures for an out-of-province UMP claim. Also, if you are considering a road trip to the United States, you might consider purchasing excess UMP coverage. Every province and state has its own laws governing motor vehicle accidents, so an accident outside of BC can raise a lot of complicated legal issues. Fortunately, law firms that specialize in motor vehicle accidents deal with these issues regularly, and we can arrange for counsel in another jurisdiction while simultaneously dealing with any ICBC claims.